Sophia Sotiropoulou studied at the Physics Department of the University of Athens, she continued her postgraduate studies in Archaeometry and prepared her PhD in Chemical Engineering at the National Technical University of Athens, on the subject of “Optimization of colour measurements in paintings using non-destructive techniques’. She has extensive research experience in the analytical investigation and multidisciplinary documentation of archaeological and cultural heritage objects, in general. Since 1996, she is a researcher associated to the “Ormylia” Foundation – Art Diagnosis Centre. 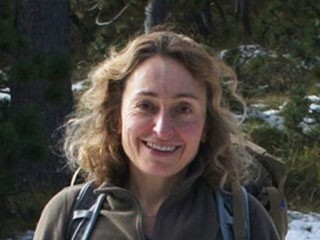 During her research career she is specialized in applying imaging techniques, optical, photometric and spectroscopic methods for the analysis of materials, the study of mechanisms of natural aging and the characterization of cultural heritage objects, specifically paintings and generally objects with colour applied to different substrates. Also, she is active in research related to lighting, studying the role of light in the visual perception and appreciation of museum objects in display. Katerina Karagianni has graduated from the department of Computerized Accounting of the State Institute of Vocational Training at N.Moudania. She is currently studying «Management and Organizations» at the Open University of Greece. She works as an administration officer for the “ORMYLIA” Foundation (Art Diagnosis Centre Ormylia and the Medical Center of “Panagia Philanthropini”). She has extended experience in European projects (H2020) in the fields of administration and financial support as well as conference organization and secretarial support. Katerina holds a degree in Byzantine iconography and Music (Harmony and Piano). She works as a volunteer with children at the parish of St. George at New Moudania (Chalkidiki) and she is also an active member of the Greek Rescue Team. She owns a First Aid-Certificate of BLS/AED by European Resuscitation Council. Assistant Professor, Mechanical Engineering Dept. 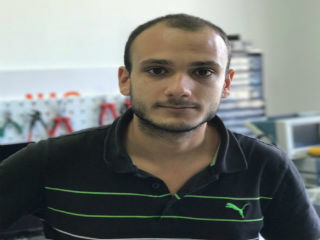 Dr. Christos Salpistis is Assistant Professor in the Department of Mechanical Engineering of the Aristotle University of Thessaloniki (AUTH). He is teaching Experimental Stress Analysis, Electronics and Mechatronics. Dr. Salpistis research activities are focused on Tribology and Thermo-elastohydrodynamic lubrication, Mechatronics applications, Art & Biomedical diagnostic methods, and Automotive Engineering. He has more than 46 publications in international referred journal and conference proceedings. He participated in more than 28 research projects funded by the European Union, Greek authorities and leading European and international enterprises. He is active member of national and international scientific organizations. Dr. Konstantinos Vavliakis received his diploma and PhD from the Department of Electrical and Computer Engineering at the Aristotle University of Thessaloniki in 2007 and 2013 respectively. 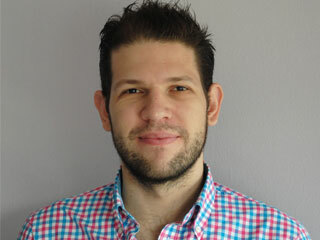 He is currently a research associate at the Intelligent Systems and Software Engineering Labgroup of the Department of Electrical and Computer Engineering at the Aristotle University of Thessaloniki. 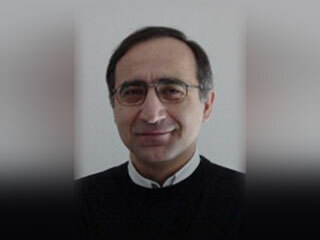 Since 2007 he participated in various EU, national and private sector funded research projects as a research associate with the Information Technologies Institute of the Centre for Research and Technology and the Diagnosis Centre of Ormylia Foundation, in the areas of data mining, social media analysis, semantic web, e-health and knowledge management for cultural heritage. He has also been a teaching assistant in in Aristotle University of Thessaloniki, teaching Database Systems and Algorithm Analysis and Design. Mr. Aimilios Zikouridis has graduated from the Department of History, Archaeology and Cultural Resources Management, University of Peloponnese. He is now attending the MSc programme of CultTech (University of Peloponnese) in Cultural Heritage Materials and Technologies. His thesis is on “Measuring tessera from Ancient Messini using ultrasound”. His interests extend from Αrchaeology to Αrcheometry and the use of Non-invasive Technologies for the diagnosis and assessment of Cultural Heritage objects. His thesis is conducted under the auspices of the Ormylia Foundation. Aspasia Papazi is a mechanical engineer, specialized in analysis and synthesis of constructions,graduated of the Aristotle University of Thessaloniki. As a student she dealt with analysis of mechanisms and robotics and was a member of the Aristotle Robotics Team P.A.N.D.O.R.A. She owns an MSc on ‘Protection, Conservation and Restoration of Monuments of Culture’ with specialization in works of art and mechanisms, granted by the Aristotle University of Thessaloniki. 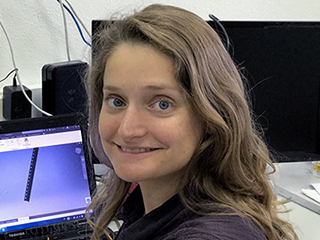 In her professional carrier she has focused on the design, analysis, simulation and construction of robotic systems for research, cultural and industrial purposes. She has worked in projects related to culture such as the simulation of medieval mechanisms in Cyprus and the reconstruction of the Byzantine Museum of Kastoria. She has taken part in numerous research programs dealing with robotics in Greece, Russia and the U.S.A. and has an experience in robotic systems for food industries. 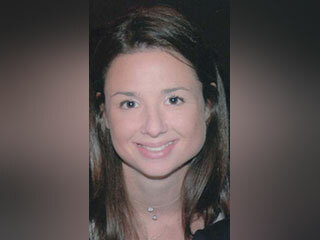 She is currently working as research associate in the Ormylia Foundation.